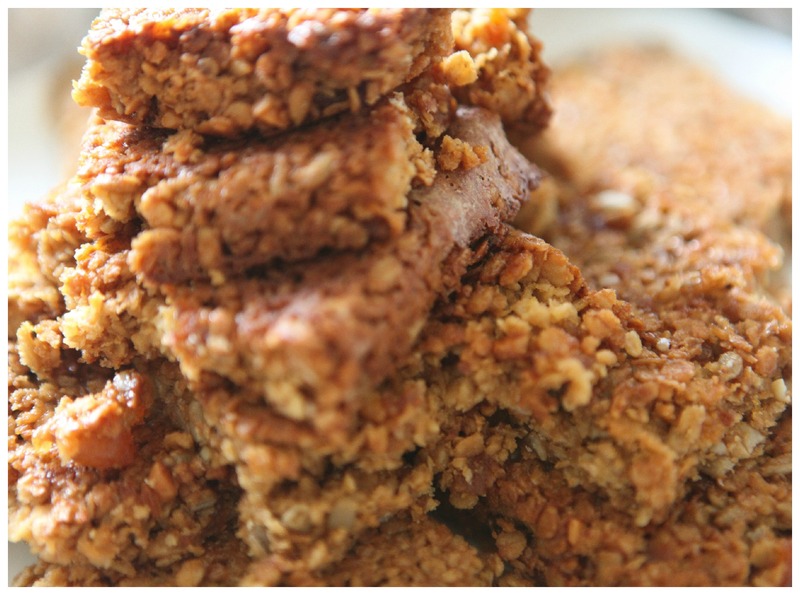 I think flapjacks were the first thing I was allowed to bake on my own, sweet, chewy, goldenly delicious and simple to make they are a great introduction to baking for kids. Since being diagnosed celiac I have fallen out of the habit of making flapjacks because gluten free oats tend to be outrageously expensive however Aldi has recently expanded their GF range to include porridge oats at a fraction of the cost of other GF brands so I will be back to making flapjacks, granola, muesli and hearty bowls of porridge with abandon. This weekend I was at a very lovely wedding where the guests were all housed in Yurts. There was no electricity in the Yurts just beautiful beds, oil lamps, candles and a wood fired stove and they were set in beautiful grounds. It was all very lovely and rustic but since we weren’t in a hotel and brunch wasn’t until 11.00am on the morning following the wedding I knew I would need something to keep body and soul together until breakfast so I made a batch of flapjacks and the morning after the wedding we snuggled up in bed, nibbling on the chewy cookies, sipping warm orange juice out of plastic cups, rehashing all the events of the day before and it was a very nice start to the day. • Stir in the chopped apricots, peanut butter and vanilla extract. • Place the gluten free oats, sunflower seeds, coconut and gluten free flour in a large bowl and stir together. • Pour the melted butter mixture into the dry ingredients and stir until thoroughly combined. • Scrape the mixture in to the prepared tin and bake in the pre heated oven for 25 – 30 minutes or until golden and slightly firm. • Allow to cool in the tin, then lift out on the paper and carefully flip the flapjacks over on to a cutting board face down. Peel back the baking parchment and cut into 18 squares. These flapjacks are quite soft and chewy and very crumbly but they are delicious and store well although I would stack them with squares of parchment paper between each slice as they will tend to stick together. Sometimes a body just needs comfort food. When I have had a bad day, when people have been acting the fool and wrecking my buzz I start to crave carbs, savoury and sweet to soothe my troubled mind. The acting of baking is also immensely calming so yesterday evening after a particularly vexing day I went home, opened a bottle of wine, listened to music and made some cookies. 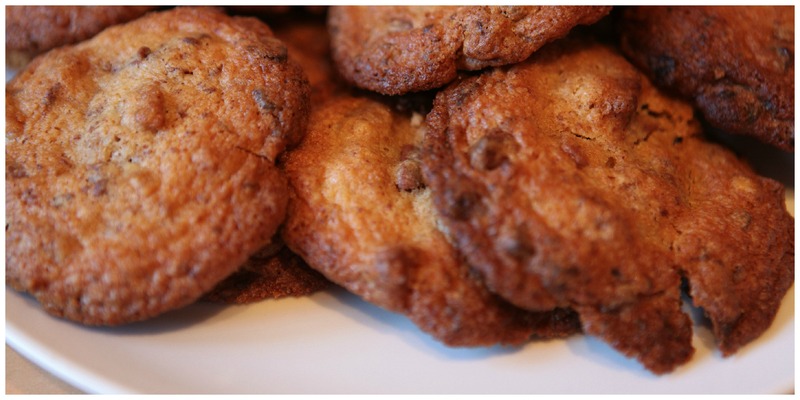 When I think cookies, I think of butter, sugar and chocolate and of course that leads me straight to Ina Garten, the queen of all things luxurious and indulgent in the kitchen. I slightly adapted her recipe for chocolate chunk cookies, mainly to make them gluten free but also because I adjusted the amount of chocolate and nuts, increasing the nut to chocolate ratio slightly. I also used milk chocolate instead of semi -sweet because that is the chocolate I want when I want comfort food. Enjoy with a glass of cold milk, a cup of tea or sandwich two with a scoop of vanilla ice cream for a really quick desert ! Christmas baking is always about rich full flavours, dried fruit, oranges, spices, port, brandy all the good things but sometimes it is nice to make something a little simpler and these vanilla cut out cookies are sweet, crisp and work very well gluten free. 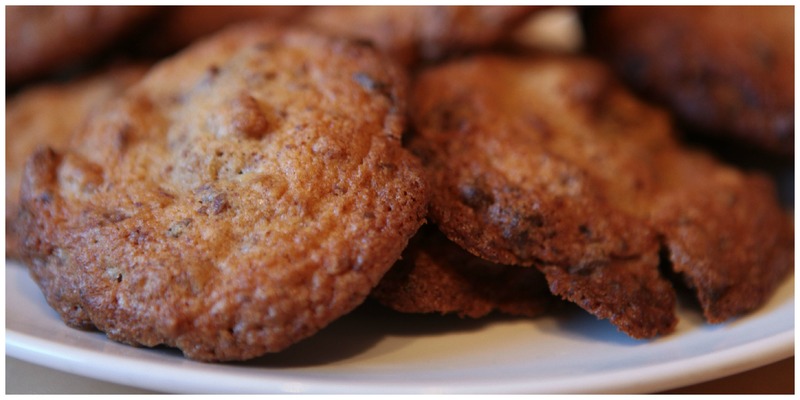 This recipe is adapted for GF from Nigella Lawson’s recipe for cut out cookies. Children will love these and this is a great recipe to make with kids, they will love cutting out the cookie shapes and really love icing the baked cookies. To make your life easy you could invest in a pack of squeezable tubes of icing but if mixing your own colors try to use paste rather than liquid color with your icing sugar if you can. If you are making these GF check any the ingredients of any edible decorations you might use, sprinkles etc to make sure they are GF. 1/2 teaspoon of vanilla extract. I ran out of the good stuff and used what I could get in the local shop but when it comes to vanilla the quality and unfortunately the price of the extract does make a difference to the taste so get the best you can afford. Beat in the egg and vanilla, scrapping down the sides of the bowl to make sure everything is well mixed. The mix will look curdled but don’t worry about this, it will all come together when you add the dry ingredients. Mix together the flour, gum, baking powder and salt. Sieve the dry ingredients in to the batter and mix gently with a wood spoon until everything is combined. You will have a fairly sticky soft dough, if you feel it is too wet ad a bit more flour but don’t add too much or the dough will be tough when cooked. Tip the dough on to a lightly floured surface and form in to a disc, wrap the disc in cling film and leave in the fridge to chill for at least an hour. Preheat your oven to Gas 4/ 180 / 325 f and about ten minutes before you want to bake the cookies take the dough out of the fridge so it will be easier to roll out. Place the dough on a floured surface and roll out to a thickness of 1/2 centimeter. If you are worried the dough might stick then you can roll it out between 2 sheets of baking parchment. Dip your cookie cutter in GF flour and cut out the cookies. 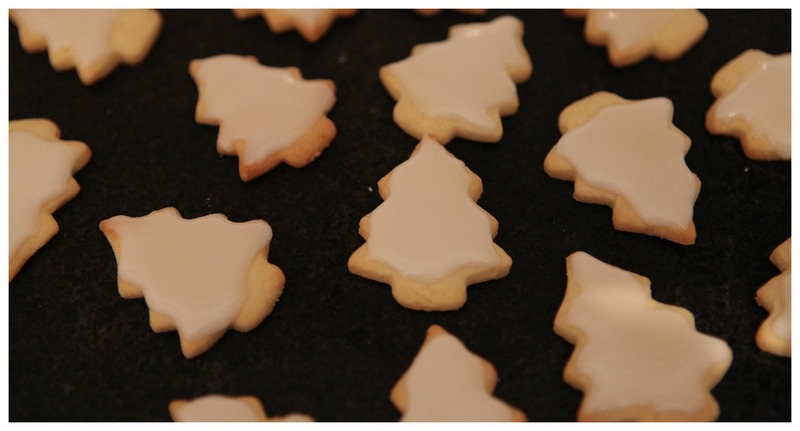 Place the cookies on the baking sheet and place in the oven. Bake the cookies for 8 to 12 minutes if you have two baking sheets of cookies you can switch their positions in the oven half way in to the cooking time to ensure the cookies cook evenly. You will know the cookies are done when the edges start to turn a pale golden brown but they will still be pale and bit soft in the centre. The cookies will firm up as they cool. 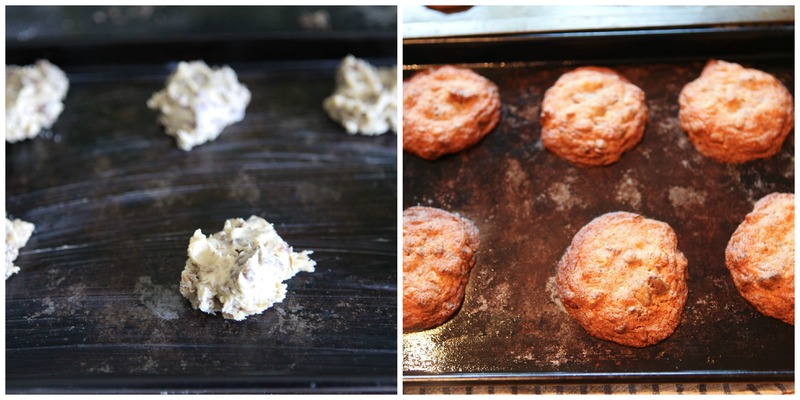 Once baked leave the cookies to set on the baking sheet for a few minutes before transferring to a cooling rack. When the cookies are fully cooled ice them in what ever color or design you like. 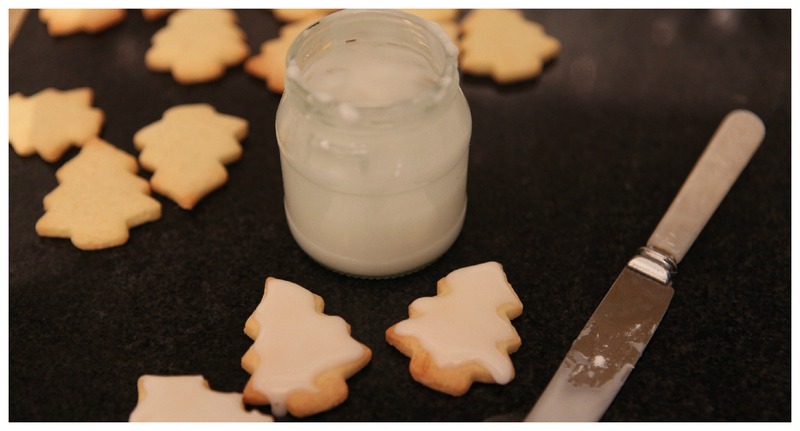 Store the baked and iced cookies in an airtight container so they don’t go soft and remember to keep a few to leave out for Santa on Christmas Eve, they will be a welcome break from Mincepies!